"Genius is talent set on fire by courage." In the spring of 1940, the aspiring but unknown writer Albert Camus and budding scientist Jacques Monod were quietly pursuing ordinary, separate lives in Paris. After the German invasion and occupation of France, each joined the Resistance to help liberate the country from the Nazis, ascended to prominent, dangerous roles, and were very lucky to survive. After the war and through twists of circumstance, they became friends, and through their passionate determination and rare talent they emerged as leading voices of modern literature and biology, each receiving the Nobel Prize in their respective fields. Drawing upon a wealth of previously unpublished and unknown material gathered over several years of research, this book tells the story of how each man endured the most terrible episode of the twentieth century and then blossomed into extraordinarily creative and engaged individuals. It is a story of the transformation of ordinary lives into exceptional lives by extraordinary events - of courage in the face of overwhelming adversity, the flowering of creative genius, deep friendship, and of profound concern for and insight into the human condition. 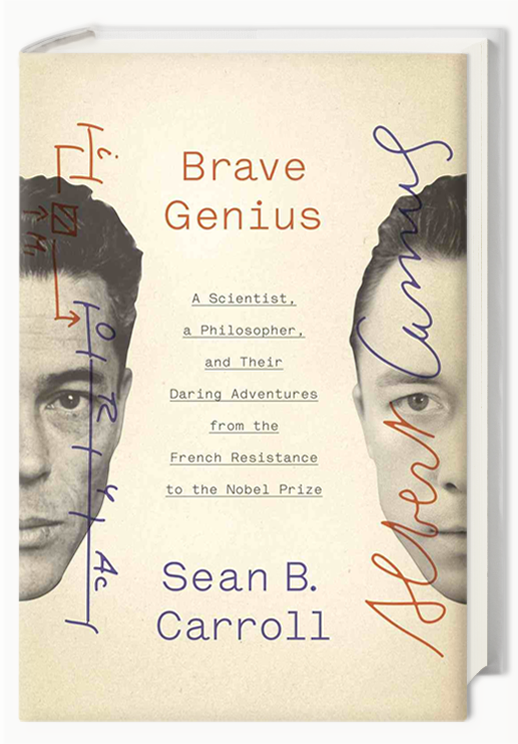 "Suspenseful... Brave Genius is briskly paced and ambitiously sprawling, offering potted accounts of historical episodes large and small (the fall of France, the 1956 Hungarian crisis, Camus's famous feud with Jean-Paul Sartre, the discovery of the double helix), along with finer-grained descriptions of Camus's and Monod's work. Dr. Carroll has done some impressive archival digging. turning up fresh and often vivid details." "Brave Genius is scintillating in its entirety, reminding us that even in a time of profound adversity, it is genius, not misery, that loves — longs for, necessitates, thrives on — company."